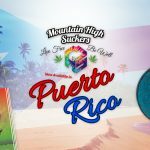 Mountain High Suckers is extremely proud to announce that we have joined the latest group of cannabis based businesses to become A+ accredited by working with the Better Business Bureau through their new cannabis program. The Better Business Bureau has been working closely with Colorado’s Marijuana Enforcement Division to properly vet cannabis businesses including verifying licensing info and communicating directly with businesses regarding complaints. 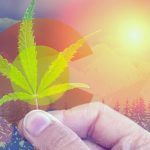 The BBB says it decided to move forward in working together with cannabis businesses due to positive input from cannabis business owners and industry leaders. Consumers can now visit the Better Business Bureau’s website at www.bbb.org directly to look up other accredited cannabis businesses, their ratings and their reviews. Note that the BBB doesn’t make any judgement related to the products themselves; the reviews will be solely focused on how cannabis businesses interact with other businesses and how they handle complaints. The BBB also only covers cannabis businesses operating within legal states where an accreditation system is in place. BBB is a nonprofit, business-supported organization that sets and upholds high standards for fair and honest business behavior. All BBB services to consumers are free of charge. BBB provides objective advice, free BBB Business Profiles on more than 5.3 million businesses, 11,000 Charity Reviews, dispute resolution services, alerts and educational information on topics affecting marketplace trust. Visit www.bbb.org for more information.